Comes with three Mini dorm trunks! Keeping your college dorm room organized is important. You'll spend less time looking for dorm essentials you need right away, you'll cut down on some of your stress, and you'll also keep your college dorm room looking great. That being said, you'll need to add extra dorm organizers to your college dorm room to keep things running smoothly. 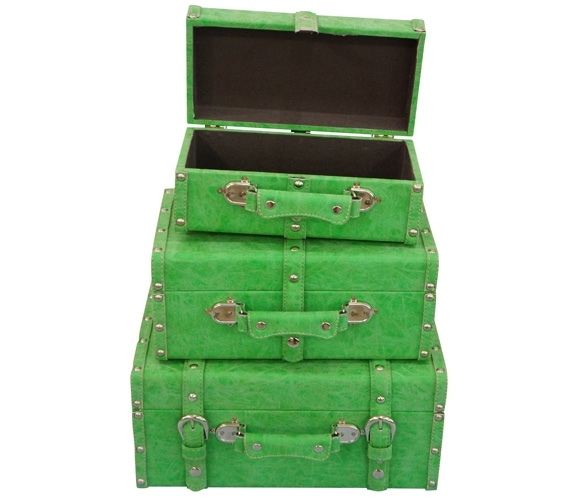 For extra dorm room storage and a great looking dorm room decor, add our College-Ave Mini-Trunks (Set of 3) in Lime. 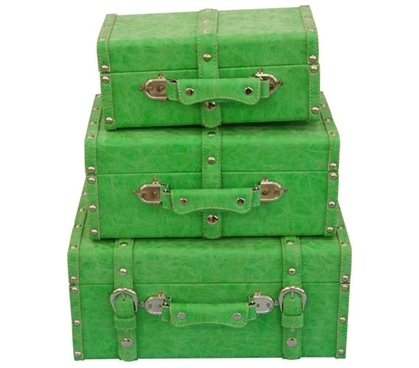 Our College-Ave Mini-Trunks in Lime come in a set of three so you can add plenty more dorm room storage to your college dorm room and add pops of lime color to different areas of your college dorm room. You can stack these dorm essentials or you can place them in different areas around your college dorm room for great looking dorm room decorations. These dorm necessities have the added benefit of being ultra portable so you can them on vacation or a weekend trip home. These college supplies will help keep your dorm room looking its best by keeping small dorm items concealed and better organized. Keep your cosmetics, art supplies, and other extra college supplies organized with our College-Ave Mini-Trunks (Set of 3) in Lime. Small: 11.4" x 5.7" x 4.72"
Medium: 13.38" x 7.67" x 5.7"
Large: 15.35" x 9.8" x 6.88"